If the item hasn't already been purchased I'll provide a price quote and an estimate for when the item will ship. Once the item is purchased and any details hammered out I'll get to work on it and ship it as soon as its complete. At any particular time I might be working on several orders at once but I can usually ship an order within 1-2 weeks. I document everything I make and much of it winds up posted to this blog. Please let me know if you would rather not have a description/photos of your order be made public. I make a point to respect the client's privacy by never revealing names or personal information. I've always enjoyed the challenge and work of designing a custom item for a specific purpose. I'd been doing custom work for family and friends long before I started doing it professionally. Most of the commissions since can be found by viewing the Commissions tag. I take every commission seriously but there have been a few that stand out among the rest. My father-in-law was having a difficult time finding a bag to carry around the clipboards and papers he regularly uses in his line of work. Everything he found was either too large or too small. So he commissioned me to make him a messenger bag at just the right size and to make it extra durable I used bison rather than the usual culprits. This fellow was a pretty big fan of an excellent film known as Akira, so much so that he possessed one of the original animation cels from the movie. He didn't really have any place to store or carry it though so we decided a custom portfolio would only be appropriate. He was even nice enough to send back a photo of the portfolio in use. After finding she was having a difficult time carrying all her small items around conventions, a friend contacted me to find a solution. She was also interested in advertising her new video-game themed podcast so we came up with this hip satchel. It's essentially a large pocket that fixes around the waist and around a thigh to keep all her notes, game boys, and paraphernalia handy. In this case the clients were a whole family of guitarists and all three had a particular idea of how they wanted their guitar straps to look. The father had his patterned off the art for his favorite album. The mother was a fan of floral designs and greyhounds. The son was a big fan of Pink Floyd so his strap was patterned after the The Wall album. This order sticks out to be because it was an opportunity to really push what I was capable of at the time, both in terms of the aesthetic design and the physical construction of the guitar straps. The client really wanted to make sure their camera stayed safe and we both had lots of ideas on how to go about that. 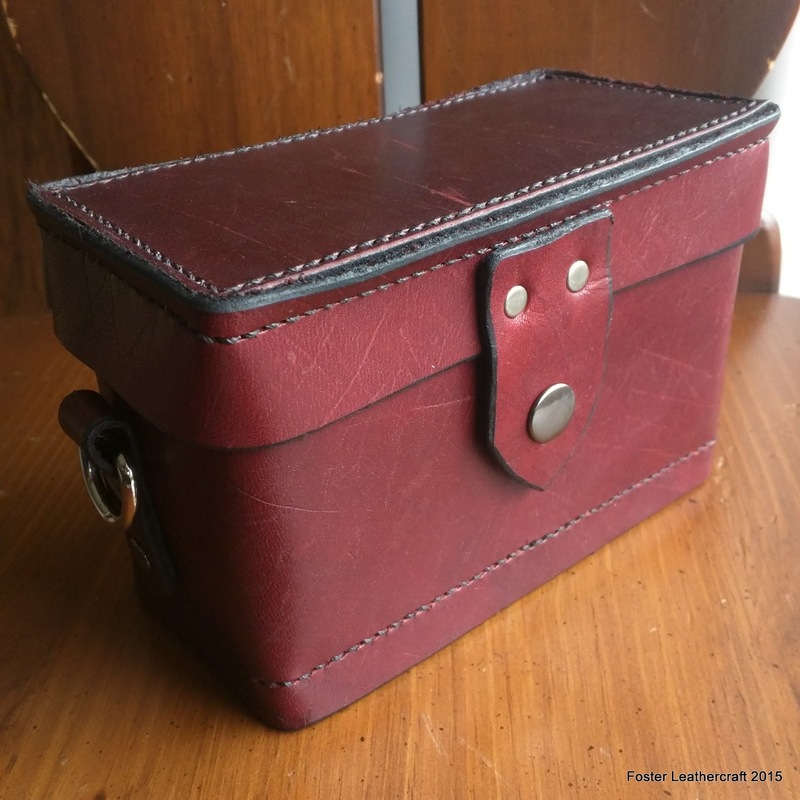 We probably spent longer working out the specs for this pouch than I have for any other order but the result is a box that feels more like it was of metal than leather. It may have been over engineered but it was a good challenge. Maps are some of my favorite things to make. There isn't much engineering involved but there's a meditative quality to carving every itty bitty detail on a good map. And this client had a damn good map to start with. There's a whole story behind that map you can read about here.